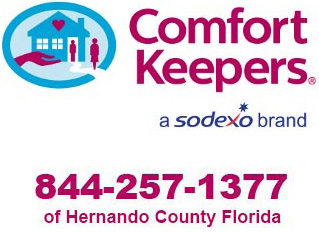 Comfort Keepers light housekeeping services include vacuuming, dusting, sweeping and mopping floors, cleaning bathrooms (sinks, tubs, showers, and toilets), cleaning kitchens (sinks, appliances, counters, taking out trash), straightening all rooms, organizing closets and drawers, and cleaning any interior windows that can be reached without a ladder. Comfort Keepers does not provide outdoor cleaning or maintenance. Comfort Keepers provides transportation incidental to other care services, such as taking clients to medical appointments, barbershops, beauty salons, shopping, or wherever else a client wants to go. Getting seniors out and about is good for their mind, body and spirit—and an integral part of Comfort Keepers’ Interactive Caregiving™. Specific non-medical in-home care services can be tailored to meet each client’s needs. This type of continuous, in-home care service is ideal for clients who are at risk when unattended, such as clients with Alzheimer’s disease or other dementia-related illnesses. Depending on each client's needs, Comfort Keepers can provide from just a few hours of service per week up to full time in-home care, that's around-the-clock care for 24 hours per day, seven days per week. Caregiving can be rewarding and often strengthens bonds within a family. At the same time, caregiving can be demanding amidst life's other responsibilities. Family caregivers and those in their care can benefit from a little time off now and then. That is why Comfort Keepers offers respite caregiving. This service can be scheduled as needed to provide family caregivers time to run errands, go shopping or get some much-needed rest. Comfort Keepers are trained to move and place clients in correct posture position to promote health and safety and proper functioning of the body's many systems. Proper transferring and positioning from or into beds and chairs eliminate pressure areas on the skin, reduce weakening and stiffening of muscles, and encourage proper breathing, digestion and elimination. In addition, Comfort Keepers help make certain that seniors and other clients stay on prescribed diets to prevent or control a wide variety of medical conditions such as heart disease, diabetes and osteoporosis. And in general Comfort Keepers enable clients to eat a well balanced diet that provides the energy needed for active living and nutrients for disease prevention, healing and healthful living. The population of seniors diagnosed with Alzheimer's and other dementia related illnesses is on the rise both nationally and locally. As of the year 2016, over 6,500 seniors in Hernando County have the diagnosis of either Alzheimer's or other forms of dementia. Comfort Keepers care givers provide care for clients who are diagnosed with Alzheimer's or other dementia related illnesses. Some clients with this diagnosis may experience anything from momentary confusion to long-term lapses in memory. For clients who need this specialized care, Comfort Keepers care givers receive specilaized training and are given the resources they need to help improve a persons' quality of life with this diagnosis. Comfort Keepers utilizes the latest techniques and research findings to provide enriching activities like music therapy and exercises to stimulate the clients' mental and physical wellbeing. Our compassionate Comfort Keepers come to the aid of individuals who have been diagnosed with a terminal illness. We help them and their families with emotional and moral support as well as helping out around the home and providing personal and companionship care—whatever is needed. Comfort Keepers can support the family directly or work in partnership with a hospice agency or medical provider to fully meet the family’s needs. Our ultimate goal is to help families make the most of their time together, helping to lighten the burden at a very difficult time. Through respite care, we give family caregivers needed rest. Veterans or surviving spouses of veterans, in need of in-home care, may qualify for benefits through the Veterans Administration. Comfort Keepers is proud to serve those who have served our nation. Comfort Keepers is an approved vendor for the Veterans Administration.